Also, I have confirmed that two horses who were “pulled up in distress” at Belterra Saturday are in fact dead. The first, Windy Cape in the 1st race, was euthanized; the second, Martha Rose in the 7th race, apparently collapsed and died on the track. In his three most recent starts, Windy Cape finished last once and second-to-last twice and saw his “value” plummet from $30,000 on July 27 to $7,500 the day he died. The “collapsed” Martha Rose was a 7-year-old mare under the whip for the 44th time. There is NO defense against these murders. I truly hope all the people envolved in this bloodsport step in front of a moving train. Racehorse after racehorse dropping dead in the dirt, and then you go back to examine the PP’s. 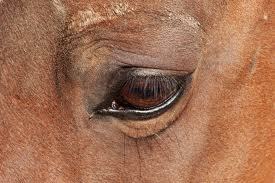 The PP’s are, more or less, the voice of the racehorse because it tells their story, and it’s ugly. I’ve often said that there are only 2 types of apologists: 1. Abusers 2. Enablers of the abuse. These are public executions and they all should be outlawed, shut down, dead in the dirt like the racehorses. The PP’s are one piece of the puzzle, but as I repeatedly point out it’s the secret, undisclosed doping/vet records that would clearly show just how vile these people are. One of the main reasons why they get away with such cruelty, and inhumane treatment is because their victims are voiceless, and often retrained while needles go in and out of their veins or any other place they can find. Horse racing is blatant animal cruelty, always has been, and always will be until this shuts down. Please, I implore you, don’t go to a horse race, don’t wager on a racehorse, educate people, write the editors of newspapers, but most importantly tell your politicians that you want the financing to stop. These mares are loaded up and sent to auction even though some may be in foal. These auctions are frequented by kill buyers and it is not hard to guess the fate of these mares as the bidding commences. The mares stand in “silence” awaiting their horrific end – the slaughter house is their destination. An astounding number of horses are “disposed” of year after year.There is no compassion or respect for the horse at any level in this callous greedy business – money trumps all. Thank you for reminding, Rose. It’s vile from start to finish. Yes Rose these people are so vile that they profit off their reproductive systems after their done abusing, and/or maiming them. Then when they are done exploiting every single facet of their being they then do the ultimate vile act: profit off their body on the slaughterhouse floor. Absolutely unequivocally vile from start to finish, from the tip of their ears to the tip of their tails and everything in between. These people are monsters, and this business has no place in the 21st century – none. It’s absolutely abhorrent that they hold our politicians in, most likely, their back pockets while wasting precious taxpayers money. So sorry for all racehorses who endured unimaginable suffering at the hands of these parasites, and for those who didn’t make it out alive – so sorry for you. The common phrases and myths perpetrated on the public are outright lies, and it could qualify for fraud because they use it to make profit with some, like Churchill Downs, trading on the public market. This is not unlike SeaWorld who perpetrated lies on the unsuspecting public for years such as their teeth are grinded down because they are so well taken care of. Yet, the reason why their teeth is grinded down is because they chew the side of their concrete jail out of sheer boredom because they are deprived of everything that’s natural to them. Both orca’s and racehorses are forced to perform and Kasatka was ripped away from her nursing baby to perform a late night show. Hearing her baby cry for her, she took her aggression out on Ken Peters who is lucky to be alive. There are so many parallels between all animals on display for “entertainment” and profit. It’s all the same, and their “caretakers” are all delusional, and are all direct abusers or enablers of the abuse. It’s time for the human race to stop exploiting animals and let them live their lives. The visitor paid $400 and took the pitiful creature home with him.